I am an avid reader of our daily newspaper – the Fiji Sun. One of the reasons I buy the Fiji Sun is simply because I love reading the Andy Capp comic strip. Andy’s life is portrayed as a drunk who likes sleeping, watching TV, going to the pubs, occasionally playing football and of course he likes to pick a fight. Andy Capp may not fix your problems but if you are having a tough day, why not let Andy brighten your day. Why can’t they give us a 100-year lease instead of 99 years? Please, do not follow the supermarkets! I have been a midwife in New Zealand for 20 years. I am retired now and back in Fiji. I am glad we did not have silly unionists like Rajeshwar Singh who does not know the art of negotiations. He is unhappy that he cannot take credit for the massive increments that civil servants have got. That is the issue here but educated civil servants are too blinded to see that. It looks like the Australian Rugby Union is thinking of signing up a number of our Drua rugby players into their Super rugby teams. Our Drua rugby team has shown to the rugby world that they have the potential and the capability to be a force to reckon with in the Australian National Rugby competition. They are already leading the table and getting better with every game played. I would really love to see the Drua team as a new inclusion into the Super Rugby competition in the near future. I believe that with the current management, players and sponsors this team, if included, could really do some damage and bring some explosion into the competition. Before Ben Ryan, I was always favouring this gentleman as the best person for the Fijian coach job. Mr Lagiloa had always been the manager but never a coach. 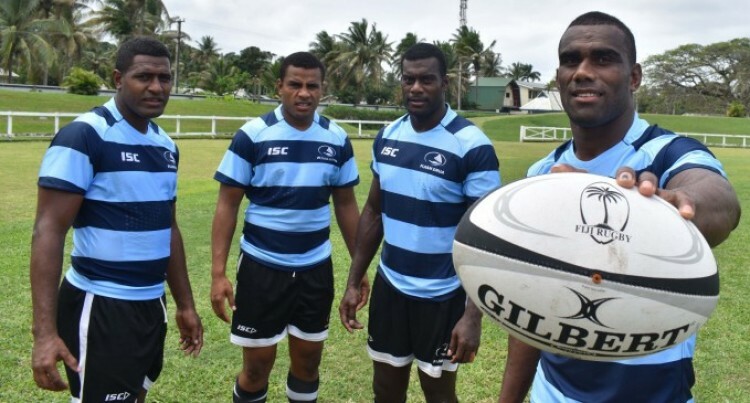 But he had proved himself in many ways as coach, even found new talents for the Fijian team, developed rugby in so many ways, but again, never a coach. Whatever rugby code, league, 15s, 10s or 7s, Mr Lagiloa seemed to fit in well and the results were always successful. Even his knowledge was recognised in the Farebrother Challenges and the now Skipper Cup with rugby teams like Lautoka, Tailevu, Northland and many more. To all those who had benefited in life from whatever Mr Lagiloa had taught them, they will sure miss him a lot and wishing he would still be around. Years ago there used to be a pedestrian crossing at the front of the old Metropole Hotel, right on the junction of Scott and Usher St in Suva. This was conveniently located and many used that point as a transit after work to get to the market and finally the Bus Station. This was and still is a very heavily used road by vehicles. That particular pedestrian crossing was designed and adequately marked to keep pedestrians together where they can be seen by motorists, and where they can cross most safely across the flow of vehicular traffic. I recall at that time there were very few accidents apart from some of the intoxicated people hanging around the famous watering hole and at that time was full of attraction of a cowboy bar. This marked pedestrian crossing at intersections was installed on that busy road that would otherwise be too unsafe to cross without assistance due to vehicle numbers, speed or road widths. I believe that the road engineering did an excellent risk assessment that came up with such an idea that greatly assisted the public to move about safely in the city area. But sadly, the current road planners have removed that foot crossing and gave an alternative choice to use the crossing lights some distance away, including the one opposite the RB Patel Supermarket facing the market, which has been defective for a long time now. At these lights there is no indication for one to cross as the ‘Green Man’ sign never appears so the pedestrian would have no idea when to cross the road. While the traffic stops and the people wait on both ends of the signal, which never happens, suddenly vehicles start to move on as they have the green light. This area is still attractive and convenient for people because they still use it despite the risks associated with it. Shoppers exiting the market side would have to duck under the iron railing, which is about three feet high, now installed to prevent people from using that exit, but is not a deterring factor. Once the people pass the railings they step on to the very busy road and are suddenly faced with danger. People who cross that illegal point include women, children and the senior citizens. Apart from the traffic hazard it is also an ergonomic issue when one has to bend low and this can affect the musculoskeletal system and cause disorders. I made an observation on a Saturday where I noted how people would use that route. That contributes to a huge exposure rate collectively and a mishap waiting to happen. I believe there is a need to re-design or eliminate the core problem of the risk that is exposed to the people and have the processes in place to achieve a dramatic improvement in pedestrian safety.